For homeowners seeking an affordable home security system that doesn’t sacrifice defense, Protect America presents an intriguing alternative. The company’s various plans include a basic, premium, and advanced system, but let homeowners decide what additional features and equipment they would like to accompany the service. With basic packages starting as low as $19.99 per month, Protect America offers an option that doesn’t require heavy upfront costs, and means maintenance can be as little or as much as homeowners prefer. All Protect America packages include a base kit that comes with door and window sensors, a control panel, and yard signs that indicate homes are defended by the company. Moreover, users can add mobile security, receive security notifications, and even monitor cameras around their homes directly from their smartphones. 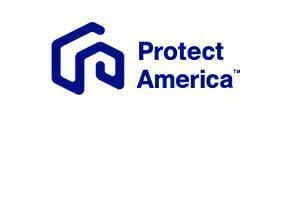 Read on to see how Protect America stacks up and the intriguing features it offers for dependable home security. Depending on home sizes and homeowners’ needs, Protect America offers a few strong options for pricing and equipment. Prices do not include any additional equipment, which carries extra costs but can be added to existing plans. All the company’s plans include no installation fees, around the clock monitoring, and locked-in prices. When it comes to flexibility, Protect America gives customers several options that let them mix and match services to find the optimal combination for their needs. One of the biggest benefits of the company’s pricing model is that it provides strong base options that include the core necessities for robust home security while enabling users to customize plans to fit whatever they want. Plans include only basic equipment in the form of control panels and sensors, but also allows for a variety of unique security tools that can enhance home safety and even alert against internal dangers such as fires. Moreover, this lets customers understand exactly what they are paying, as all plans are locked-in and have no upfront fees. Another standout feature for Protect America’s security systems for home use is the company’s monitoring services. Agents for Protect America are on call around the clock, monitoring all the fine details of customers’ security systems. When a potential threat is detected, the company will communicate with homeowners and alert them to the suspicious activity before alerting authorities. Moreover, operators are available not just via a landline or mobile connection, but also through a two-way intercom system that comes built into users’ control panels. The company even monitors pre-existing security systems and home alarms. The company’s monitoring services are available on both landlines and mobile connections, though only the mobile connections allow users to download and control their systems through the company’s mobile application. We were impressed to see how transparent Protect America’s plans are. While many companies include upfront costs for equipment and expensive installations, Protect America avoids that route and instead offers a service with no upfront fees, and a DIY installation that requires little assistance from the company itself. Additionally, all the company’s plans have a more affordable plan or a full-featured premium option that includes mobile access to the company’s home security app. We liked to see that while the company only offers 36-month contracts for all its alternatives, they also have locked-in rates. When homeowners sign up for the company’s plans, their initial quoted price is the fee they will pay for the lifetime of their contract. Moreover, when the original plan expires, users can switch over to a monthly plan that lets them decide how long they want to keep paying for their home security products. One wide area where Protect America stands out is its user-friendly policies and terms. The company offers all users a 15-day no-obligation return policy that allows them to cancel their services without being obligated to honor the full term of the contract. For users who have exceeded the initial grace period, cancellation is not available, but they still have options. Users can simply transfer their plans to others (assuming they’re qualified) for no extra cost, and without wasting the remainder of the term length. Additionally, users can simply let their initial term expire and cancel without the automatic monthly renewal. For those users who are moving, they can rest easy knowing they can take their home security tools with them wherever they move to within the US. Security equipment can be delicate and is prone to break through no one’s fault. Protect America is cognizant of the fact and offers an unlimited lifetime warranty on all its services for all active customers. The company covers all home alarm systems and will replace parts for any qualified defective systems for no charge outside of shipping. The warranty doesn’t include some coverage, such as broken or damaged equipment, but it will attempt to remotely resolve any issues, and will ship replacement parts in case the problem is not related to the system’s software components. The company is certain that it offers the best prices available on the market and is willing to put its name on the line. Protect America has a low-price guarantee for all its plans and will gladly match any prices on equivalent home alarm systems customers bring to it. To get a price matched, customers simply have to contact the company within seven days of having registered for their security plan and present physical evidence such as a printout of lower rates. The company responds quickly, and generally gets back to customers in as little as 48 hours with a price-matched offer. While the company’s plans include the essentials for home security, users can further customize their home security with a variety of security equipment. Getting started with Protect America’s DIY home security suite takes a few minutes and is a straightforward process. The company’s security equipment comes pre-paired and labeled with the control panel, so installing it does not require any technical know-how. Moreover, set up mostly consists of simply placing devices where they’re meant to be and connecting them to the control panel once it’s online. The next step is to call the company, which tests the system’s sensors and alert systems including the emergency services notifications. The company’s support also verifies users’ contact information and provides a quick tutorial. Once installed, there is little upkeep required and the system showed very few signs of malfunctioning or even working at a diminished level. Overall, the smart home security system functions well, triggering whenever there is a pre-determined suspicious activity triggered. Users who want remote control of their security alarm system can download Protect America’s mobile application, which lets them view their security feeds, as well as remotely arm and disarm their systems. For those who connect their security tools to home automation platforms like Alexa, they can also control aspects of their home such as lights, garage doors, and appliances. The app features excellent services but has some responsiveness issues that could be improved to offer a more streamlined experience. Moreover, the service is only available to users who sign up for the company’s broadband or cellular-based plans. Overall, Protect America delivers a strong home security system that is both highly customizable and affordable. The company’s base plans offer robust security for users and feature no upfront equipment or installation costs along with locked-in rates for the duration of the terms. While they only offer a single 36-month term, all the company’s plans the different equipment options available alongside the ability to connect users’ systems with their mobile and home automation devices for even better management ability. A strong around the clock monitoring team ensures users are well protected and always aware of any potential threats and dangers. Protect America presents an ideal choice for homeowners as well as renters thanks to its mobility, flexibility, and ease of installation.